The recent good spell of weather made the course quite tricky and the firm conditions made for some imaginative shots around the greens. 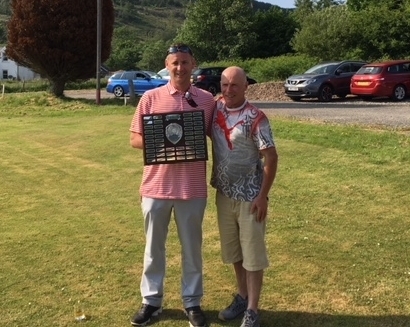 Newly crowned player/manager of Tarbert AAFC, David Ronald took second place on 39 points. First off the blocks at 8am was Alec McAulay from Lochgilphead who set the benchmark for the day with a nett 62, a score that would not be beaten.